VR is still in its infancy. It’s at the stage at TVs before colour, or computers before they got personal. It’s easy to forget that because there are so many headsets (and cardboard boxes). But Varjo’s VR-1, a slick looking headset intended for the professionals making the content you’ll one day use, is a great reminder that we’re still in the early days of this technology. This is one of the first VR headsets to provide the super high pixel per inch count your eye can actually enjoy. Varjo is a Finnish start up out to produce the best VR headsets available. 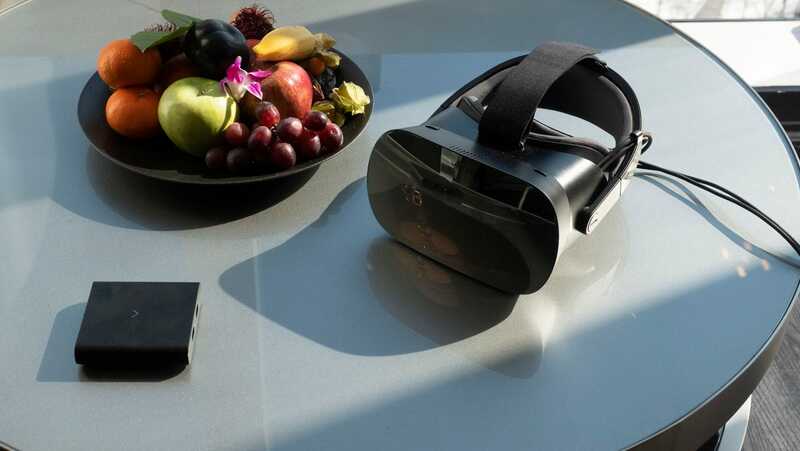 Originally the plan was to create a VR headset with a camera on it, so it could function as an AR headset as well, and Varjo plans to release a module for the VR-1 that will do just that later this year. 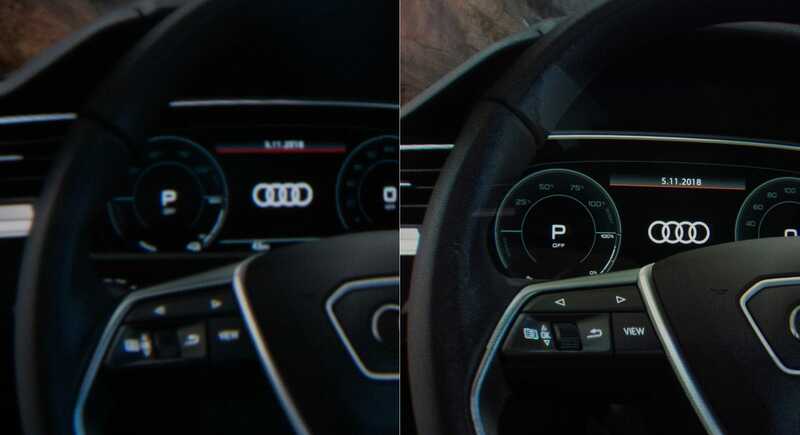 However when Varjo started showing of its tech to potential customers in the enterprise sector, it said it found that those customers, at this moment, wanted higher resolution, not AR. So Varjo doubled down on creating a VR headset with “human eye resolution” which is fancy way of saying that the pixel’s in the display are so small and dense they’re invisible to the human eye. 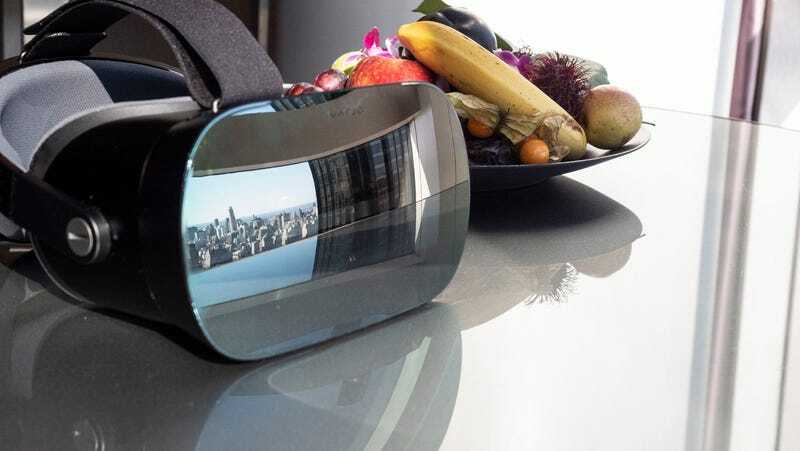 VR headsets are really just a display with magnifying glasses laid over it. Settled on your head and focused properly, a headset gives you the perception of 3D space, but because of the magnification element it also highlights every single pixel in the display, sort of like you’re standing nose to nose with your TV. 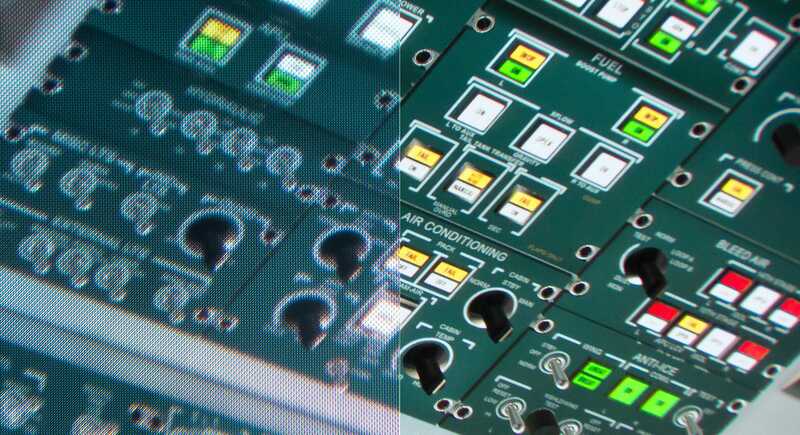 Varjo reduces the effect through the use of a hybrid “Bionic” display. 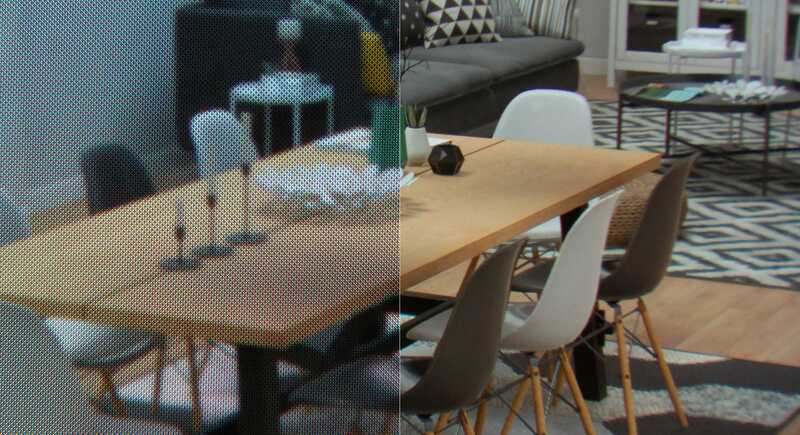 The outer display is the same one found in the HTC Vive – an AMOLED with 1,440 x 1,600 resolution per eye. The headset and its box. The cables plug into the box, which plugs into the computer via two USB-C cables. That’s supremely high, but it’s nothing compared to the a 1,920 x 1,080 microLED center display with a claimed 3,000 pixels per inch, which the company claims is the same display found in the viewfinder for high-end broadcast cameras from companies like Sony. While the individual pixels don’t completely disappear, they’re smaller than they’ve been on any headset I’ve tried before, and the result is a small and stunning window into the future of VR. With the distraction of giant pixels gone, VR content looks more realistic. There are no jagged edges, or fuzzy text. Everything is crisp and clear, like a video game played on a high-end 4K TV. Besides a super high pixel per inch count, the Bionic display found in the Varjo VR-1 has a pixel per degree count of 60, which is where it gets its claim of “human eye resolution.” The PPD of a display is number that’s intended to take viewing distance into account when discussing a display’s pixel’s density. It’s calculated with the following formula: 2dr tan(0.5°). d is the viewing distance and r is the resolution of the display (there are calculators available if you’d prefer to skip the maths). An iPhone XS, viewed from a distance of 10 inches, has a PPD of 82.6, while a 4K TV viewed from 4 feet has a PPD of 55.7 but a PPD of 67.5 when viewed from 5 feet away. The human eye, with 20/20 vision, should be unable to determine pixels with a PPD of 60 or higher. So the VR-1's PPD of 60 should mean practically invisible pixels – which means no ugly reminder you’re wearing displays strapped a few inches from your eyeballs. In practice I didn’t find the VR-1 quite that magical, the lower PPI of the outer display was distracting, and in more than one demo, there was a clear difference in how the two displays handled material. A Varjo rep told me this was due to the lower resolution of source material, which was intended for the HTC Vive Pro or a lower resolution display. Consequently, the fancy centre display with its high PPI actually revealed flaws in the programming. 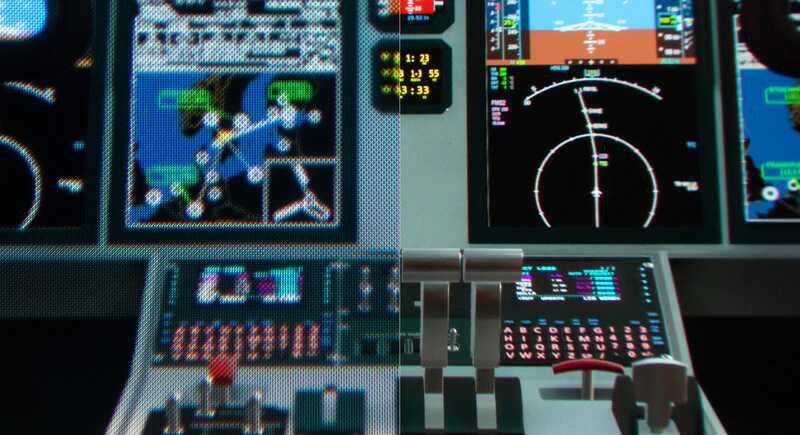 In one car demo, reflections looked fundamentally different on the two displays, while in a flight simulator stars appeared normal in the outer display, but disappeared in the higher resolution centre display. It was only in a Unity demo that the things appeared flawless. Unity has support for higher resolutions, so the stars and reflections all appeared the same across both displays. Below are screenshots provide by Varjo of the same content on the Varjo VR-1 headset and a Vive Pro, it’s a good example of the discrepancy in the two displays found in the VR-1 as well. Yeah, the difference really is that stark sometimes. But I actually found myself not minding the difference, and it makes perfect sense if you consider the Varjo’s intended customers: designers, engineers, and VR content producers. This is a reference display, intended to provide the best possible image right now, so content won’t have to be manually reconfigured for higher resolution displays in the future. Having the best of what’s currently popular in a consumer headset (the HTC Vive Pro) alongside the best of what’s possible professionally means a content producer just has to glance to the side to see what their audience will see, and then look straight ahead and design what they want their audience to eventually see. Sort of like how video editors will put a big 4K TV on the wall to see what the content will look like for the rest of us, but have $30,000 reference display in front of them to see the content as they want it to be. And when you consider that, the Varjo VR-1’s price tag feels slightly less astronomical. Varjo says the VR-1 will retail for $5,995 (around £4,600), with an additional yearly license of $995 (£760). A company rep stressed, after my eyes bugged out of my head, that the VR-1 isn’t intended for you or me. It’s meant for professionals designing all the stuff you and I use. It’s the reference monitor, not the 4K television. But it’s exciting all the same, because it means that the technology really can improve. One day, when prices drop, we might actually have displays as gorgeous in the headsets the rest of us can afford, and after an hour with the Varjo VR-1 I can safely say I’m excited at the prospect. A good display really does make all the difference in virtual reality.